The Obama administration has for the first time publicly identified the Chinese regime as the source of a wide ranging campaign of cyberespionage, as part of an annual report, almost double the length of last year’s, on the growing military power of the People’s Republic of China (PRC). The report published by the Department of Defense also draws attention to China’s implementation of advanced technology to keep pace with U.S. weapons, and includes a special section on China’s remote sensing satellite capabilities. Though experts have pointed to cyberespionage emanating from China for years, the report is the first time the U.S. government has publicly recognized the regime’s cyber incursions. Even then, it was the Pentagon, rather than the White House, that did the naming. Referencing a 2012 report by security think tank Project 2049 Institute, national security reporter Bill Gertz warned that “the PLA General Staff Department (GSD) Third Department is likely a leading authority for cyber surveillance,” that has been “waging a coordinated cyber espionage campaign targeting U.S. government, industrial, and think tank computer networks” for years. The Department of Defense’s apparent inattention to this analysis and heretofore ambiguous response to Chinese provocations in cyberspace is of concern to many security experts. The Pentagon said that the information operations of the People’s Liberation Army have enhanced its flexibility and responsiveness, which will benefit field operations as well as decision-making processes. 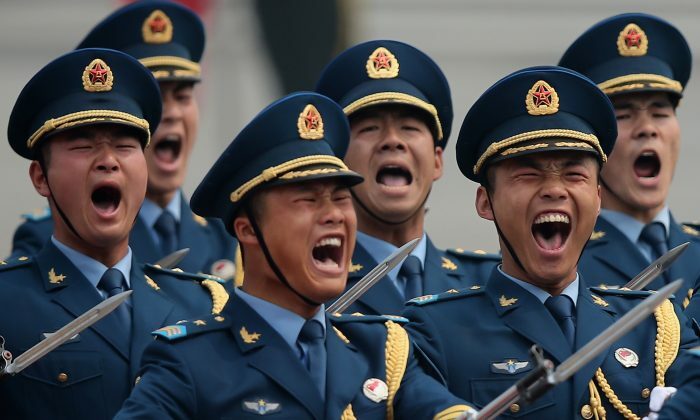 Electronic attacks may also be an effective tool for the Chinese military during a wartime or crisis scenario, to disrupt the U.S. communications, navigation and radars, the report indicated. The report devotes a section to the PRC’s large deployment of imaging and remote sensing satellites under a variety of missions. These satellites can provide direct military support and as well as intelligence on foreign military force deployments, critical infrastructure, and targets of political significance. The satellites are also bases for conducting scientific experiments, land resource and mapping surveys, as well as disaster and weather monitoring. The PRC will continue to increase its satellite forces with the planned launch of 100 satellites through 2015. These launches include imaging, remote sensing, navigation, communication, and scientific satellites, as well as manned spacecraft. Richard D. Fisher, Senior Fellow with the International Assessment and Strategy Center, raised further questions about the Pentagon’s response to China’s latest conventional weapons capabilities, in an email to The Epoch Times.